Biography* � In 1961, Elmer L. Reeves was an all-state fullback on the Lineville High School "Aggies" state title team. Mrs. Charles (Margaret Whatley) Lee in a 3 Feb 1979 letter wrote: He [Elmer] had a bad accident back in early fall. Elmer worked on the railroad. He was having him a new house built, lot of his building material was being stolen at night, door, window, etc. So, one night, he carried his gun and decided to hide there, so he got out of his pickup and he stumbled and the gun went off.... He managed to get in the truck & drive home.... He was carried to B'ham hospital and stayed there a month or 6 or 8 weeks. In a 29 Mar 1981 letter Margaret Lee wrote: I heard someone say Elmer Reeves went back to work on the railroad. I was glad. I was afraid he would never be able to work anymore. Someone tried to break into his new home after he moved into it. I don't think they got anything, he got a gun and scared them away. will follow in the Lineville City Cemetery. to help support the mission initiatives of Lineville Baptist Church. of the Clay County Exchange Club, and President of the Lions Club. Family Scholarship designated for graduates of Lineville High School bound for college. served as a blessing to many people in the community throughout his lifetime. Griffin, his brother Merrol and grandchildren Joseph and Rachel Griffin. Nell Worthy and Synovia Williamson. Young, Richard Blair, Joby Burns, Rusty Taylor, Kenny Cleveland, and David Proctor. members Dugan Taylor, Willie Price, Doris Loveless, Charles Higgins, and Harold Rice. at the Benefield Funeral Home in Lineville. Biography* � The following is apparently from The Post-Herald for July 1962: Griffin Fills School Post Special to The Post-Herald ASHLAND, July 11-Emyl G. Griffin, Democratic nominee for chairman of the Clay County Board of Education, will enter the office a few months early. He was installed at the regular board meeting to fill the unexpired term of M. F. Sparks. Sparks, who served on the board for 18 years, 12 of them as chairman, resigned at the meeting because of ill health. After accepting the resignation, other members of the board passed a resolution in which Sparks was highly praised for his service on the board. Griffin, an official at Higgins Slacks of Lineville, was nominated for the position in May. He will begin his duties at the next regular meeting of the board July 27. Higgins Slacks, Inc. was mentioned on p. 30 of The Birmingham News for Tuesday 25 Jun 1963: Lineville turns from mule philosophy to progress BY THOMAS F. HILL News staff writer LINEVILLE, June 25--A half-dozen overalled men and boys stood around kicking up dust in front of the unpainted wooden building. A wagon stood forlornly. A horse was tied to a post nearby, his head hanging down with fatique. This was Lineville, oldest incorporated town in Clay County, just a few decades ago.... LED BY EFFORTS of civic workers and city officials headed by Mayor J. O. McCain, the town landed a major industry 15 years ago. It was known as Higgins Slacks Inc. It had 50 employees when it opened and town leaders grinned and patted themselves on the back. But the plant grew beyond their fondest dreams. Today, Higgins Slacks employs more than 375 men and women and has annual payroll of about $1.5 million. It produces more than 75,000 pairs of men's dress slacks and walking shorts each month, and its 15 salesman cover 30 states.... A $100,000 expansion last year increased cutting room facilities, added office space, a cafeteria and other facilities. The following article is from an unknown source, possibly The Lineville Tribune: Board Recognizes Mr. Griffin For Service By RAY STANSELL The Clay County Board of Education met last Thursday afternoon. Present were Superintendent Don Fulbright, Chairman Emyl Griffin for his last meeting before leaving that office, and Board members Walter Farr Jr. (District 1), Olin Birchfield (2), Hugh "Bunk" Young (3) and Doyle Smith (4). Also present was Joseph S. Rowser, Uniserve Director for the Alabama Education Association (AEA), and Dr. Lamar Carmichael, incoming Chairman of the Board of Education. Mr. Griffin called the meeting to order and led the opening prayer. At the end of the very brief business session, Griffin addressed the group and expressed appreciation to all of them, as well as to all others with whom he had served during his twenty-four years as chairman. "I have always been amazed at the lack of selfishness shown by our board members. I've enjoyed working with all of you, as well as the other board members who served before you," Griffin said. "I have tried to be blind to the fact that I'm from Lineville when it came to serving all of the people and the schools of the county," he continued. "From Olin, who has been on the current board the longest to Doyle, who is the newest member, I have always taken the attitude that you're all as important on this board as I am. I never tried to interfere in matters that were of concern to only the local board, even in the Lineville district where I live." At this time Mr. Griffin presented a check to the board to be used for the schools as they see fit. (The figure was not disclosed by Mr. Griffin who has always been very modest in such matters). He stated that the gift is in appreciation for the people of Clay County and all of the schools and people involved with them. Griffin stated that he had in no way lost interest in the schools and that he would be glad to help anyone in any district at any time. He noted that he had four children to complete their high school education in the local schools, then go on to finish college. "I feel like they were well-prepared for college. While they didn't make all A's in high school, they went on to do just as well in college, and that says a lot for their preparatory work," Griffin added. At this time, Superintendent Fulbright presented Mr. Griffin with a plaque "in recognition of unselfish service rendered to the Clay County School System for 24 years". The plaque also cited Mr. Griffin's leadership in administration and in providing a quality program of education for the students in the local schools. Mr. Fulbright stated that he had called on Mr. Griffin for advice many times and that he appreciated the work that he did with the board. Mr. Smith stated that he appreciated the opportunity to work with Griffin for six years. Mr. Farr stated that the same is true of himself. "We have not always agreed, but we have always respected each other," Farr said. Mr. Birchfield stated that the twenty-two years he has served with Mr. Griffin means a lot to him. "He has never been partial to his own school district, but has served all of us," Birchfield added. Mr. Young stated that Mr. Griffin kept a lot of bad situations from getting worse and that he always kept his composure. Young also noted that the board always opened with prayer and that they had received compliments because of this. Mr. Griffin explained that the tradition of opening the meetings with prayer began with Mr. Fred Rush when he became superintendent. "I have just tried to see that we kept it up since that time," Griffin said. Dr. Carmichael also addressed the group. "Mr. Griffin's character is above reproach. When I campaigned for the office, I didn't hear bad things about Mr. Griffin. No one admires him any more than I do," Carmichael said. Griffin thanked him for this compliment. (Carmichael defeated Griffin in a very close race for the chairman's office.) Mr. Fulbright stated that he would continue to seek advice and Council from Mr. Griffin, and that he was looking forward to working with Dr. Carmichael. "I know the board trusts the judgement of our chairman, and there will be many times when I can't talk to all of you. I will call on Dr. Carmichael as I did Mr. Griffin anytime a need arises," Fulbright said. Mr. Fulbright concluded, noting that they had indeed had many unusual problems and that Mr. Griffin had always been patient in dealing with them. The meeting ended with Mr. Griffin and the board members, along with the new chairman, extending best wishes to each other. In 1987, the Lineville High School Gym was named the "Emyl Griffin Gymnasium." The following is from pp. 1-2 of The Lineville Tribune Thursday 19 Feb 1987: Dedication Ceremonies Held Sunday for Emyl Griffin Gym By RAY STANSELL Over one hundred people gathered at the new "Emyl Griffin Gymnasium" in Lineville Sunday afternoon for the dedication services which made that name official. 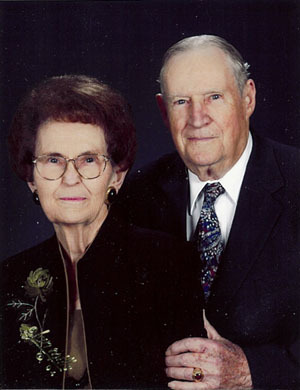 Mr. Griffin served as Chairman of the Clay County Board of Education for 24 years. He also served as Trustee of Lineville schools prior to that, and continues to be active in many church and community functions today. Mr. Griffin cut the ribbon and everyone went in for the program which began at 2:00 p.m. The invocation was given by the Rev. Jerry K. Colquett, Pastor of Lineville Baptist. Mr. Charles Lee, Principal, welcomed the guests and recognized various educators and public officials, both past and present, along with the coaching staff and cheerleaders who conducted tours after the services. Mr. Lee stated that former Superintendent Leonard Brooks told him that a new gym was a priority at Lineville when he first came to be Principal here, and now that is a reality.... "We appreciate what the Board of Education members both past and present, have done," Lee stated. Current Superindendent of Education Don Fulbright spoke next. "Working with Mr. Griffin, I found him to be a dedicated public servant, equally interested in all schools in the county and all phases of the educational program," Fulbright said. "It is fitting that we publicly acknowledge his contributions to the Clay County School System for the past 24 years," he continued. Mr. Fulbright noted some of the changes which took place during Mr. Griffin's time of service on the board. Among these were consolidation of schools, desegregation, increased federal support and regulation, increased requlation and mandates from the state level, new school bus safety regulations and county ownership of buses. Present Board Chairman Dr. Lamar Carmichael stated that people today need a good example to follow, and that Mr. Griffin is one who has given much to education and the community as a whole. Senator Gerald Dial stated that it was a great honor to be present to recognize one who had done so much to improve the quality of life of people in this community. Dial then introduced Representative Richard Laird who read a joint resolution of the state legislature. Before reading the resolution, Laird, too, mentioned how Griffin had helped to make the community a better place for the people now and in future generations. The resolution, written by Senator Dial, cited Mr. Griffin's "tireless service and utmost dedication" and noted that he was "always an exemplary and active proponent of education for the children and youth of his community, and is held in highest regard by his peers, and his numerous contributions for the past 24 years are deeply appreciated by all citizens of Clay County. The resolution then made the necessary designations for the new facility to be named the "Emyl Griffin Gymnasium." The highlight of the activities was a brief talk by Mr. Griffin. The always-humble man tried to steer credit away from himself and to the other members of the board and to the people of the community themselves. "The taxpayers built this, and it should have been named after you," Mr. Griffin said in an emotion-packed statement. He also gave credit to his own teachers and parents, and to his family for helping him throughout the years. He thanked the present day's teachers for their work and closed his remarks with a story about a man who went to the side and prayed after striking it rich with oil. When asked what he was saying in his prayer, the man replied, "O God, don't let this make a fool of me!" The rich man's prayer was answered as he went through life using these riches to help others. After Mr. Griffin's speech, he was honored with a standing ovation from the crowd, a fitting conclusion to the program. After the program, guests were invited to tour the gym, hosted by the Lineville High cheerleaders. The following article appeared in The Lineville Tribune Thursday, 12 Oct 1989: The Emyl Griffin Story: One Of Clay County's Finest By CHERYL ROBERTSON In preparation for this story, I had the opportunity to interview both Mr. and Mrs. Emyl Griffin. I was most impressed with the unselfishness of each of them. I found that Mr. Griffin's sincere humility is surpassed only by his deep compassion for others. Both he and Mrs. Griffin have an honest desire to share with friends and neighbors. Mr. Griffin is a lifelong resident of Clay County and a true gentleman with a keen interest in people. He is one of two sons of the late Mr. and Mrs. J. Thomas Griffin. His brother, Merroll Griffin, a graduate of the University of Alabama with a degree in Chemical Engineering, is retired and now resides in Jeffersonville, Indiana. Mr. Griffin has led a very interesting and active life. After graduating from Lineville High School, formerly known as the State Secondary Agricultural School in 1936, he enrolled in the University of Alabama where he earned a general business degree from the College of Commerce and Business Administration. After his father died when he was four years old, Mr. Griffin's mother, LeEmma Bartlett Griffin, believing that education of her children was important, worked very hard to see that her children had a proper education. Mr. Griffin credits his mother with the success he has attained and exhibits deep gratitude for those sacrifices and encouragement which helped him become better prepared to enter his chosen field. After his graduation from Alabama, Mr. Griffin accepted employment with the Alabama State Employment Service, a position which enabled him to travel over different sections of the state assisting with the opening of war plants. After one year in that job, he accepted employment with the Dupont Company in Childersburg. After a short time there, he moved on to employment with the state again, this time in the department of Examiner of Public Accounts. In 1942, Mr. Griffin volunteered to serve in the U.S. Navy. He served with the Seabees for over three years, serving tours in the Aleutian Islands and Okinawa, aiding in the construction of warehouses, runways and docks. After leaving the Navy in 1946, he returned to the job with the Examiner of Public Accounts. However, he continued to have an interest in working in Clay County. At a time when jobs were scarce in Clay County and he saw little hope of being employed here, Mr. W.E. Carpenter, President of the Farmers and Merchants Bank, provided assistance by introducing him to Mr. S.O. Higgins, who was establishing a clothing manufacturing plant in Lineville. Mr. Griffin was grateful for this because he wanted to return here and give something of himself back to Clay County. He was employed and has been associated with Higgins Company for 43 years. He has high regards for the late S.O. Higgins, founder of the company. Says Mr. Griffin, "It's hard to express how I feel about Mr. S.O. Higgins. He was one of the finest men that I have ever known. I am deeply indebted to him for giving me the job and letting me become a part of the company." Mr. Harold O. Higgins, Chairman Emeritus of Higgins Company, commented, "Mr. Griffin has been with our company almost since the first day of operations. He, as Secretary and Treasurer, has administered the financial affairs of Higgins Company with distinction for more than 43 years. During this time, he has been a leader in the company and highly respected throughout the industry." Just a few short months after becoming employed with Higgins, he met Miss Mescal Kelley of Sylacauga, being introduced by his cousin, Ms. Lucille Jordan of Ashland. Miss Kelley was at that time working with the Employment Service in Ashland and living at the home of Dr. and Mrs. J.S. Gay. After a two year courtship, they married and will celebrate 41 years together in November, 1989. The Griffins were blessed with four children over the years: Michael, who is presently serving the Home Mission Board in Berlin, New Hampshire; Charlotte, who is a homemaker in Tuscaloosa; Marshall, who is employed with Alabama Power Company in Headland and Mark, who is also employed with Higgins Company of Lineville. The Griffins have four, grandchildren: Kelley Robertson, age 12; Jonathan Robertson, age 9; Rebekah Griffin, age 6, and Anna Katherine Griffin, age 3. Mr. Griffin has a profound love for his children. Says his wife, Mescal, "He is a wonderful husband. He is a great father... that's what I appreciate most about him. He loves his children and grandchildren." Mr. Griffin has always been actively involved with various organizations in Clay County. He has served two terms on the City Council and as Chairman of the Water Board. He has served terms as trustee of the Lineville School System and Chairman of the Clay County Board of Education. He is a strong advocate of education, and he is a staunch supporter of all school activities, including being an avid football fan and attending most of the games. "Few people have seen more Lineville High School ball games than I have over the years. Mr. Arnold Clark is one of the few who has possibly seen more," Mr. Griffin says. Mr. Griffin's commitment and service to the Clay County School System has not gone unnoticed. January 20, 1987, he was given the distinguished honor of having the new Lineville High School gymnasium dedicated in his name by the Clay County Board of Education. Don Fulbright, Clay County Superintendent of Education, said, "Mr. Griffin served 24 years as member and chairman of the Clay County Board of Education. He served with utmost dedication, providing vigorous administrative leadership in areas that contributed to improvements to all schools within the county system. His numerous contributions to the youth of Clay County while serving as member and chairman of the Clay County Board of Education is well known." Not only has Mr. Griffin been involved in civic affairs, he has also been an active member of Lineville Baptist Church since he joined there in 1933. He has served as Deacon since early 1950, as trustee and has taught an Adult Men's Sunday School class for several years. He was recently re-elected to a four year term on the Board of Directors of the Alabama Baptist Retirement Centers. He has served two terms, between 1968 and 1976, on the Executive Committee of the Alabama Baptist Convention. He is a strong supporter and encourager of missions programs. He is a very generous, well respected, yet humble man who is always involved in outreach to others in his community. Mr. Griffin's contributions to Lineville Baptist Church are many. When Mr. Griffin is not busy fulfilling his civic and work responsibilities, he favors gardening and working in his orchards as a way of relaxing. He and Mrs. Griffin have many pecan trees and an abundant garden which they enjoy sharing with others. Mr. Griffin was elected to the Board of Directors of SouthTrust Bank of Clay County almost twenty-six years ago, when it was the Farmers and Merchants Bank, and he continued to serve on the Board when the bank became City Bank of Lineville. He has been committed to the bank and the image it has. C. Dennis Buckner, Chairman and President of SouthTrust Bank of Clay County, stated, "Clay County and its citizens are better off because of Mr. Griffin's commitment to our area. Our bank and its continuing commitment is stronger because of Emyl's leadership and dedication. I know Emyl as a friend, and respect him for his good citizenship and the Christian principals he employees in his professional, business, family and personal life." While preparing this story, I had the chance to talk with many people, as well as Mr. and Mrs. Griffin. I learned many things, all of which are Good, and I feel that I can truly say that Mr. Emyl Griffin is certainly one of Clay County's finest citizens. The following is from an unknown source: Mr. Griffin Retires SouthTrust Bank of Clay County will hold a retirement reception and open house this Sunday, March 17,  from 2 - 4 p.m. at their Lineville office to honor Mr. Emyl G. Griffin upon his retirement from the bank's Board of Directors. He was elected to that post in January, 1964 and has served faithfully throughout the years as a director and has provided invaluable leadership to the bank. All friends, relatives and associates are cordially invited to attend this reception. The following article appeared in The Daily Home, a Talladega, Sylacauga, Pell City, AL newspaper, March 7, 1992: Lineville man gives his all to the Clay County he loves Edwards at-large Bill Edwards Whether it's education, church, business, community, or family involvement, around Clay County there's a gentleman who comfortably and successfully wears all these hats. Emyl Griffin has had the satisfaction of giving back in large measure to his native Lineville and Clay County through countless contributions in these and many other worth while endeavors. And, the quiet, hardworking and sincere person has never seemed to let these leadership roles affect his determination to just continue to do the utmost for his fellowman while others often reap the headlines. Retired on June 29, 1990, after 44 years with Higgins Slacks Company in Lineville, Griffin has been an integral part of most everything good which has come to the Clay County area during these past years. He started work at Higgins when it opened; matter of fact, he was a part of the group of interested Clay Countians who sought and successfully secured the industry for Clay County. When he retired, he was Plant Controller at Higgins. An editorial by David Proctor in The Lineville Tribune lauded him as a "real servant in many areas;" further, it read "He established himself as an honorable person whose integrity was recognized throughout the textile industry." One of two sons of the late John Thomas and LeEmma Bartlett Griffin, of Lineville, "I was born just exactly a half-mile outside the city limits which is now within its borders," he said. Griffin graduated from the State Secondary Agriculture School in Lineville (it's now Lineville High School) in 1936 and received a degree in business from The University of Alabama four years later. His brother Merrol Griffin is retired as a chemical engineer and lives in Jeffersonville, Ind. After college, he accepted a job with the Alabama State Employment Service in Tuscaloosa but a year later moved on to a position with the DuPont Powder Plant in Childersburg. After a short period there, during which time he resided at Oaklawn Inn in Sylacauga with an uncle, the late J.A. Griffin and Mrs. Griffin, he returned to state employment--this time in the Department of Examiners of Public Accounts. In 1942, Griffin volunteered for service with the U.S Navy and served with the Seabees for more than three years, serving tours in the Aleutian Islands and on Okinawa. Leaving the Navy in 1946, he returned to the job with the Examiner of Public Accounts. However, wanting to give something of himself back to his beloved Clay County, he went to work as credit manager/bookkeeper for Higgins when it was established in Lineville and, of course, ended up at [as?] the top official there upon retirement. A few months after his association with Higgins, Griffin met Mescal Kelley (before you have time to wonder about her name, she'll tell you "My mother loved to read Zane Grey novels and I'm named after one of her characters") of Stewartville, Coosa County. Her parents were Ben and Pearl Culverson Kelley. She was living and working at that time in Ashland with the State Employment Service. After a two-year courtship, they were married. They have four children: Michael who serves with the Home Mission Board, Southern Baptist Convention and lives with his family in Berlin, N.H; Charlotte Robertson (Mrs. Steve), a Tuscaloosa homemaker; Marshall, who is employed by Alabama Power Company in Headland, and Mark, who previously worked with Higgins and is now employed with Bremen Trousers in Bremen Ga. Emyl is a wonderful husband and a great father," Mescal says. "I appreciate that with all his many duties he's had through the years, he always found time to be with and love his children and grandchildren." Griffin served 24 years as chairman of the Clay County Board of Education and six years as a trustee (1956-62) for the Lineville schools. In 1987 The Lineville High School gymnasium was dedicated in his honor. Resolutions from the Alabama State Senate and House of Representatives, reflecting on his service to education were presented to him by State Sen. Gerald Dial and State Rep. Richard Laird. Griffin has been and continues to be an ardent supporter of Lineville's athletic teams. It's said he, along with Arnold Clark, has probably seen more games than any other supporter of the programs. Last fall, the Lineville Quarterback Club presented him with a plaque honoring his contributions to the "Aggie" program. He also follows Alabama's "Crimson Tide" teams and he and his family have traveled all over the country for games. From 1948 to 1956, he served on the Lineville City Council. For 27 years he served on the city's Water works and Sewer Board, 24 of those years as its chairman. A plaque in his home attests to the appreciation of his fellow Lineville residents for these "years of unselfish service." During his tenure on the board, a 250,000 gallon water tank was erected, the water treatment plant was constructed making possible the increased distribution of water not only to Lineville but to Ashland and surrounding areas. Water mains were increased and extended and an additional 250,000 gallon water tank was built on a 50-50 basis shared by Lineville and the Higgins Company. When Griffin retired in 1986 from the Water and Sewer Board, he wrote a lengthy letter to Mayor Perry Young and the City Council thanking them and their predecessors for their cooperation and extending gratitude for "the privilege of being born and living in a wholesome environment, raising my children in a climate that is desirable for their livelihood and that of their families." Griffin has served his church, Lineville Baptist, in many ways including 36 years as an active deacon (1952-88) and is now an honorary deacon. For many years, he's been a trustee of his church, has been on its finance committee a long, long time and for more than 10 years has taught the Men's Bible Class in its Sunday School. Additionally, he's served on the Board of Missions (1968-76) of the Alabama State Baptist Convention, since 1986 has been a member of the Alabama Baptist Retirement Centers Committee and is a former member of the Shocco Springs Committee. Presently, he's a member of the Lineville Exchange Club serving on its board of directors. In the 1950s, he was president and active as a Kiwanian and during the 1960s, he was a member of the Lions club and also served as its president. Two years after the Lineville Veterans of Foreign Wars Post No.9581 was organized, Griffin was elected commander and during his term of office the mortgage was burned on the organization's club house. Griffin was elected to the Board of Directors of South Trust Bank of Clay County, serving 27 years dating from the time it was named The Farmers and Merchants Bank and later, City Bank of Lineville. He retired from this position last year. Upon this retirement, C. Dennis Buckner, chairman and president of South Trust Bank of Clay County said, "Clay County and its citizens are better off because of Mr. Griffin's commitment to our area. Because of his leadership and dedication, our bank is stronger. I respect him for the good citizenship and Christian principles he employs in his professional, business, family, and personal life." Because of the love and respect Griffin holds for his late parents, he and his immediate family set up a $25,000 scholarship fund in their memory in 1989 for Lineville High School students. The "Griffin Family Scholarship" provides deserving students with $1,000 to attend the college of their choice for four years so long as a grade average of "B" is maintained. In 1991, the two young women who had received the scholarships were attending Auburn University and Jacksonville State University. Griffin, during this interview, was continually attempting to single out others in Clay County and Lineville "who've done a lot more than I have for our area." He also had high praise for family members, "Especially Mescal who has always supported whatever I've tried to do and at the same time she kept her foot in the road doing for others herself." With this statement, he proudly pulled out an announcement of a surprise "Mescal Griffin Day" held by Lineville Baptist Church to honor her for her "13 years service as Woman's Missionary Union (WMU) director and many other acts of kindness and service, not just to this church but to the entire Lineville community." Griffin is enjoying his retirement in spite of major surgery last October when a hip was replaced. It's kept him off his beloved tractor and temporarily hampers his gardening activities and caring for the many pecan trees on their spacious grounds at Lineville. But, he doesn't anticipate a permanent lapse in his going to Bama's football games come fall ("I only saw two games last season," he said) and he's itching to get back in action with his chores around the house, too. Correspondence from Emyl Gene Griffin, Lineville, AL, to Lew Griffin, 20 Dec 2004.